It is often difficult for patients to describe how their pain feels, the factors that make it better and worse, or how the pain has changed over time. However, this kind of information is very important in helping us make the correct diagnosis. 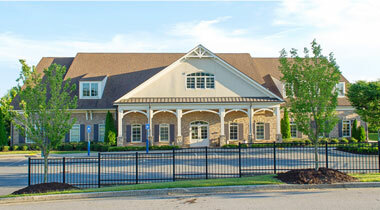 We, therefore, spend a good deal of time talking with patients to gather data and reviewing past records. Patients typically believe that X-rays, MRIs, and CAT scans are going to show us where their pain is coming from. Unfortunately, this is often not the case. Again, this is precisely why we place great emphasis on the patient interview and the physical examination. Given the potential complexities regarding pain diagnosis, it may take some time to find the cause(s) of your pain. Many times, a series of tests or diagnostic injections may be necessary. Spine pain affects millions of people around the world and is one of the most common musculoskeletal complaints seen in primary care practices. When surveyed, as many as 20% to 25% of surveyed patients are dissatisfied with their care for back pain. 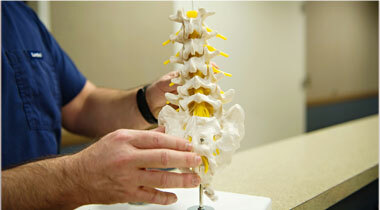 The key to proper spine care is early, accurate diagnosis and subsequent implementation of appropriate therapy. In the absence of a worsening neurological deficit (e.g. constant weakness or numbness in an extremity) or acute trauma to the spine, most patients should respond to conservative measures such as physical therapy and prudent use of pain-relieving medications. Optimizing pain control and tolerance of physical therapy often involves spine injection therapies. Epidural and other types of spine injection therapies should be targeted towards your particular spine problem. The selection of which injection type will be most effective for you is based on a careful assessment of your medical history and a thorough physical examination. One way a patient can immediately determine the quality of his or her pain physician is the thoroughness with which your initial interview and subsequent physical examination are conducted. Cursory history taking and examination will result in the performance of unnecessary and ineffective treatments. At Lanier Interventional Pain Center, our patients routinely tell us they we have given them more time, asked them more questions, and given them one of the most thorough physical exams they have ever had. This being said, spine pain is a complex phenomenon and is often the result of multiple areas of disease which may or may not been seen on X-ray or MRI. The history and physical are therefore of vital importance! It may take some time and more than one or two injections to determine the source of your pain and to give you some extended relief. The sacroiliac joint (SI) forms the junction between the spine and pelvis. Specifically, the joint joins the sacrum to the iliac (pelvis) bone. There is a right SI joint and a left SI joint. The SI joint is common source of pain for patients and is usually perceived as “hip” pain. SI pain can radiate into the buttock, groin and thigh regions. Patients often complain of pain when sitting, going up or down stairs, or pain when putting on their shoes. Joint degeneration either from chronic inflammation and/or repetitive use is extremely common and often causes pain. In fact, arthritis is the most common health complaint in the United States and is one of the most common reasons for an office visit to a physician. We use a combination of intra-articular injections, viscosupplementation injections, regenerative injections, nerve blocks, radiofrequency treatments, and medications to lessen joint pains. Occipital headaches (OHs) often accompany neck pain and spasm in the neck muscles. These begin at the base of the skull and typically radiate in a “ram’s horn” distribution around the ear to the top of the head. The pain may radiate even further to the forehead and eye. OHs can often be effectively treated with very simple nerve blocks. Certain medications can be useful as well. It may be necessary in some cases to perform cervical facet injections or radiofrequency treatments of one or more spinal nerves in the neck region. There are many other types of headache conditions and the good news is there are new treatments that can be effective when other, more standard therapies have been ineffective. Myofascial pain (MP) often accompanies pain whose origin is in the spine. The pain comes from spasm and/or inflammation in muscle tissue that overlies an area of the spine where disease is present. MP is, however, by no means limited to the muscles attached to the spine. MP can present in virtually any muscle in the body. Injections into muscle (often ultrasound-guided) can be very effective in “breaking up” an area of muscle tenderness or spasm. Combined with physical and/or massage therapy, specific areas of MP will greatly improve if not resolve totally. As we age, our bones become brittle and are more susceptible to traumatic injury. If this occurs in a vertebral body (backbone), it can be very painful. These fractures are strongly linked to osteoporosis. 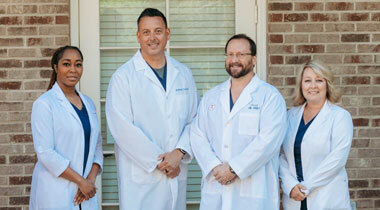 Possible interventional treatments include epidural steroid injections and cement augmentation. Cement augmentation is the injection of bone cement into the vertebral body (backbone) to relieve pain. Vertebroplasty and kyphoplasty are common techniques used to accomplish this. It is often difficult for patients to describe how their pain feels, the factors that make it better and worse, or how the pain has changed over time. However, this kind of information is very important in helping us make the correct diagnosis. We, therefore, spend a good deal of time talking with patients to gather data. Patients typically believe that X-rays, MRIs, and CAT scans are going to show us where their pain is coming from. Unfortunately, this correlation often does not exist. Again, this is precisely why we place great emphasis on the patient interview and the physical examination. Given these complexities regarding pain diagnosis, it may take some time to find the cause(s) of your pain.